The Vicary family had lived in the Newton Abbot area for many generations running leather tanning and fellmongering mills in Bradley Lane. Charles Gilbert Vicary and Octavia Palmer were married in 1881 and had seven children, Florence, Charles Lane, Gilbert Doke, Walter Palmer, Alexander Craven, Nora Mildred and John. 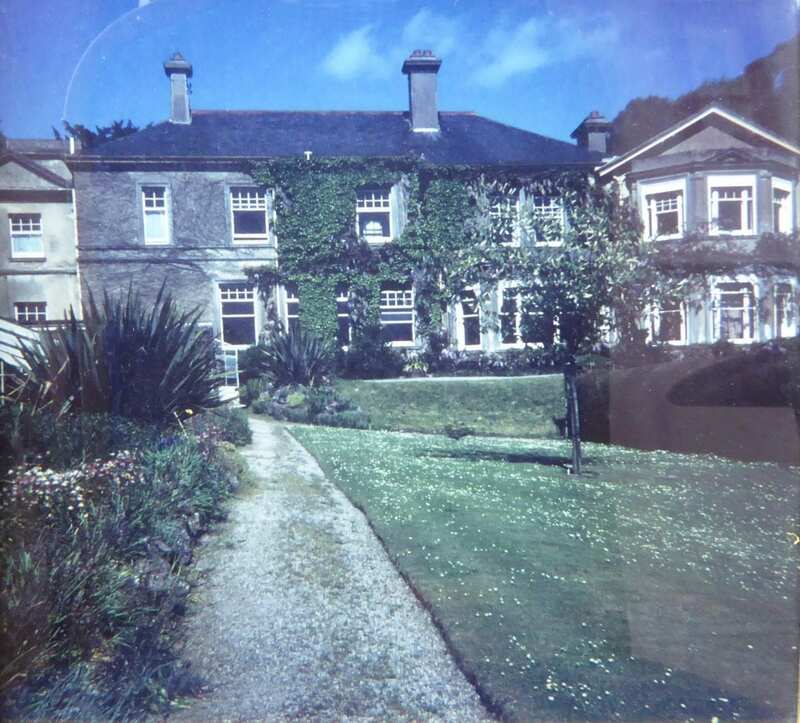 By 1901 Charles and Octavia had taken up residence in the house known as Dyrons, although sadly Charles Gilbert died the following year leaving his young widow, Octavia and their children all aged 19 and under. It seems that they were determined to continue running the business and by 1911 the brothers, Charles and Walter, were recorded in the census as ‘Employers’, in the family business. They were still living at Dyrons with their mother Octavia and three of their younger siblings, although Walter and Alexander had left home to pursue careers in medicine and the army, respectively. As for so many other families the onset of the First World War affected the life of the Vicary family members on a daily basis and had a lasting impact on their future. The First World War created opportunities for the Vicary’s business and they were contractors to the Admiralty and the War Office. Bradley Mills produced leather goods for the army including equipment for the horses and bandoliers for the soldiers. When war broke out their eldest son, Charles Lane Vicary (born 1883) was able to remain at home as his work was essential to the war effort. Florence Vicary, their eldest child, born in 1882 is known to have married in 1912. 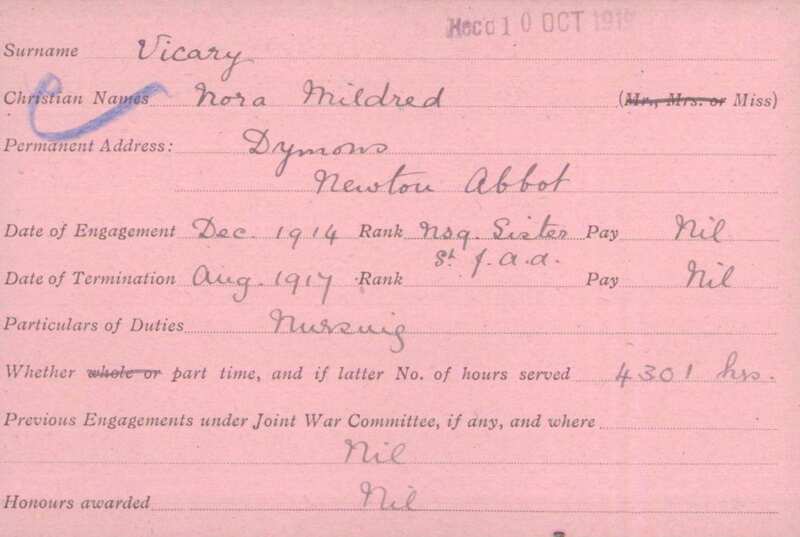 Nora Mildred Vicary, their youngest daughter, born in 1892 volunteered in December 1914 to work with St. John Ambulance as a Nursing Sister in the local auxiliary hospital in Newton Abbot and she continued this work until August 1917. The other brothers, Gilbert Doke, Walter Palmer, Alexander Craven and John all served in the First World War in areas and campaigns that were ‘away from the Western Front’. 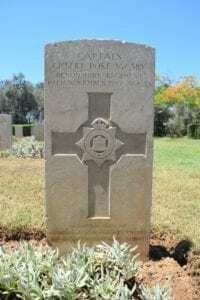 Gilbert Doke did not return to Dyrons as he was killed in action in Palestine in 1917. Alexander Craven Vicary, born in 1888 was the fourth son of Charles Gilbert and Octavia Vicary. Alexander chose the military as his career and he is known to have completed his cadet training in 1908: ‘Gentleman Cadet Alexander Craven Vicary, from the Royal Military College, to be Second Lieutenant…’ (The London Gazette, 7 Feb 1908 Issue 28107 p.894). In 1911 Alexander was stationed in Malta as a 2nd Lt. with 2nd Battalion Gloucestershire Regiment. He is known to have been in India before the 1914 as Adjutant to the 61st (2nd Battalion Gloucestershire Regiment). 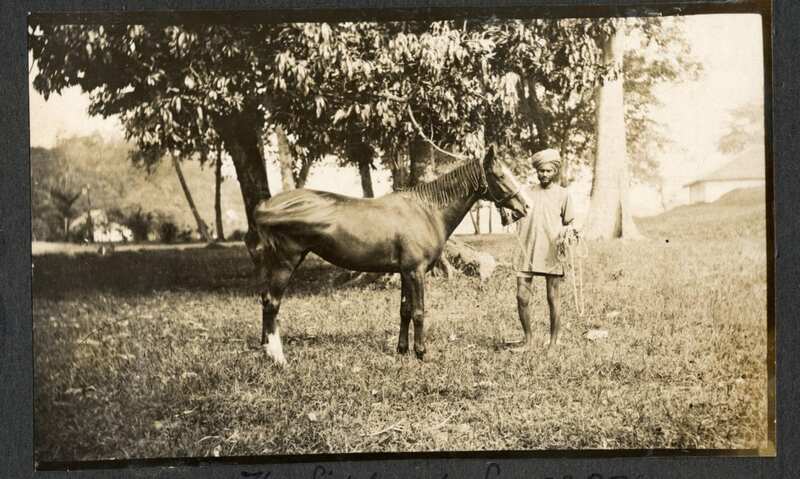 Alexander (or Alec as he was known to friends) developed a close relationship with his charger called ‘Rajah’, an Australian bred mare bought by the Indian Government and allotted to the 61st Division whilst in India. The 61st was eventually moved to China, but before leaving India ‘Rajah’ was handed over to a Sikh Battalion, but sometime later the Sikh Battalion also arrived in China with its transport, including ‘Rajah’. Alec got to hear of this and was most anxious to get ‘Rajah’ back which he succeeded in doing. 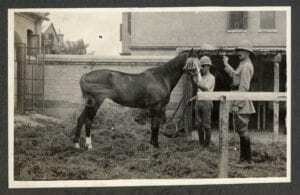 At the outbreak of the First World War the 61st was recalled from China to the UK and Alexander sought permission to bring his horse back with him. 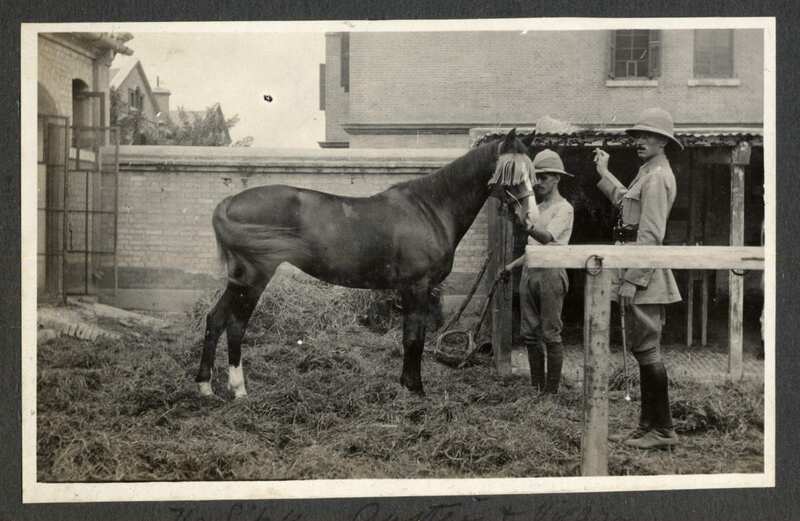 A temporary shelter for the horse was constructed on the ship, which made the 8 week journey home to the UK calling at Hong Kong, Singapore, Colombo, Port Said and Gibraltar. The 2nd Battalion arrived back in the UK from Tientsin (Tianjin), China in November 1914 and it was whilst the men were in a tented camp on the Downs overlooking Southampton that they adopted a dog and called it ‘Buller’. The choice of ‘Buller’ as the dog’s name is likely to have been by Vicary as the Zulu War hero General Sir Redvers Buller VC was a well-known figure in Devon. ‘Rajah’ and ‘Buller’ spent the war with the Battalion and they both survived. Alexander’s battalion left for France in December 1914 as part of the 81st Brigade in the 27th Division. Its first significant action came in May 1915 during the Second Battle of Ypres, the only German offensive on the Western Front that year, in which the battalion held its ground, though at the cost of 505 casualties. At the end of 1915, the 27th Division was transferred to XVI Corps of the British Salonika Force on the Macedonian Front. Alexander and his battalion landed in Salonika on 12 December 1915 and they occupied positions west of Lake Beshik (modern day Lake Volvi, Greece). In July 1916, XVI Corps took over the line of the River Struma, and for the next two years the battalion was involved in operations along the Struma valley. It was a relatively quiet sector, and although the battalion was involved in attacks across the Struma in September, October and December 1916, the last resulting in 114 casualties, and it conducted a number of raids in 1917, sickness was more of a threat than enemy action. In July 1918, the 27th Division was transferred to XII Corps south-west of Dojran (Doiran), and the capture of the Roche Noire salient on 1 September, at a cost of 89 casualties, was the last action of the 2nd Battalion in the war. ‘Capt. and Bt. Maj. (A./Lt.-Col.) Alexander Craven Vicary, D.S.O., M.C., 2nd Bn., Glouc. R. (SALONIKA). For conspicuous gallantry and devotion, to duty during an attack. He set a fine example to all ranks of coolness and courage under heavy shell fire. The manner in which his battalion carried through the operation and consolidated and retained the position under subsequent intense bombardment was undoubtedly due to his personal gallantry and marked ability to command’. (D.S.O. gazetted 3rd June, 1918). Hostilities with Bulgaria came to an end on 30 September 1918 and Alexander Vicary then took a period of leave to the UK, returning to Salonika in March 1919. He travelled via Constantinople to Batoum (Georgia, Russia) in April 1919, leaving there in June and returning to the UK via Chanak (Çanakkale) Turkey that same month. 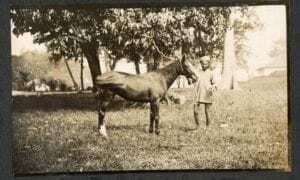 Whether he had his horse with him in 1919 is not confirmed, but he is recorded as returning to India in October 1919 with the Gloucestershire Regiment where he stayed until 1921. His horse, ‘Rajah’ is known to have lived out its final years at the family home in Devon. John Vicary, the youngest of the Vicary brothers was born in 1893 in Newton Abbot. John’s Medal Index card shows that he initially enlisted with the 5th (Prince of Wales’) Battalion, Devonshire Regiment (his brother Gilbert’s regiment), but he transferred to the 2nd Gloucestershire Regiment (Alexander’s regiment) and landed in France on 19 December 1914. Within the year he too was Mentioned in Despatches. Although seconded to the Signal Company with the Devonshire Regiment, by December 1915 John was fighting alongside his brother, Alexander in Salonika and was again ‘Mentioned in Despatches’. In 1916 John received the Military Cross (MC gazetted Jan. 14, 1916) and 6 months later, he was awarded a Bar to the MC (1st Bar to MC gazetted June 4, 1917) followed by a second Bar for his actions at Roche Noir Salient, Salonika. Citation for 2nd Bar to MC reads: Lieut. J. Vicary, M.C., 2nd Bd. Glouc. Regt. (Salonica). For conspicuous gallantry and devotion to duty. He led the front wave of the directing company in two successful attacks. He then with his platoon worked on the consolidation of the position, and under heavy shell fire continued to work all night. He was wounded during the first attack, but continued at duty, and set his men a splendid example of tenacity and courage. During 1918 John received two periods of medical treatment, one after a gunshot wound and the other after an illness. 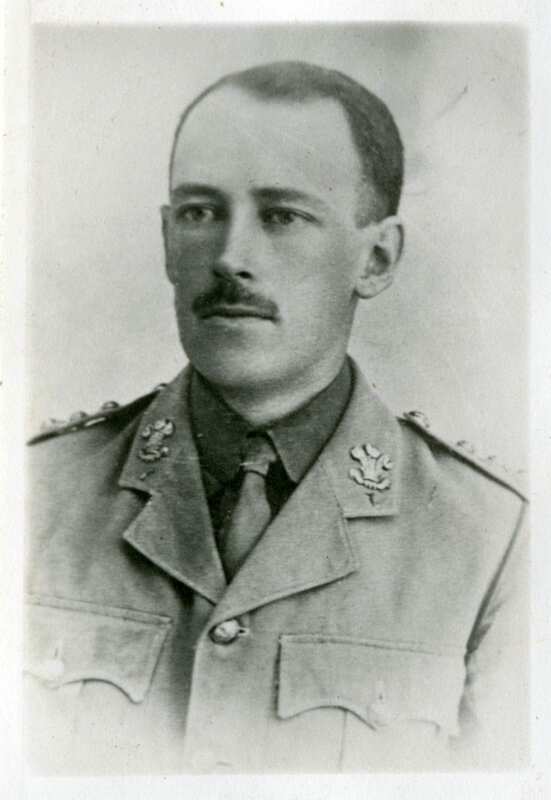 In September he received a ‘severe’ gunshot wound and was admitted to 82 Field Ambulance on 10 September, transferred to 40 Casualty Clearing Station on 11 September and subsequently admitted to 28 General Hospital on 13 September and to 43 General Hospital on 17 September for treatment. He was later admitted to an Officers Convalescent Home on 29 October before re-joining his battalion on 19 November. Almost immediately on his return to duty he became ill with a ‘fever’, receiving treatment at the Field Ambulance before being admitted again to 28 General Hospital on 21 November. 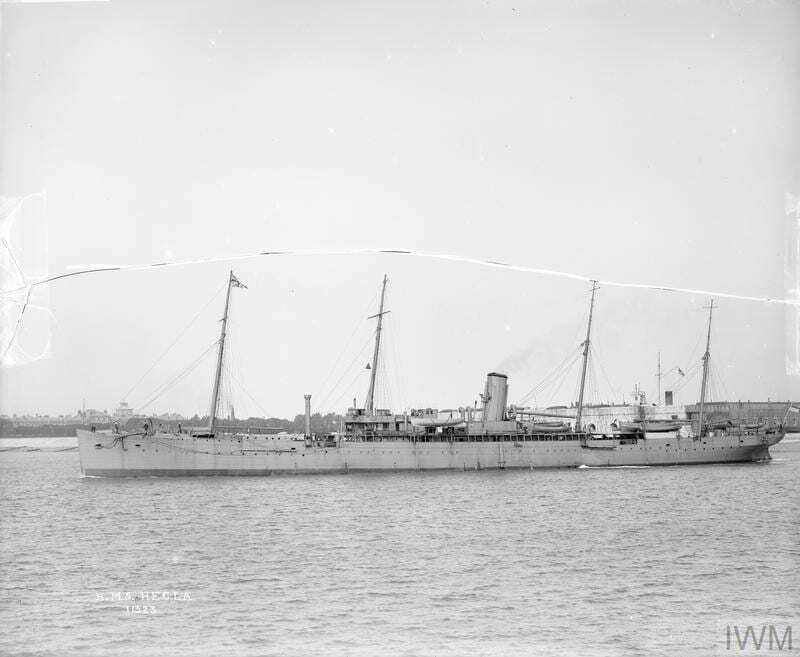 He was transferred to the Hospital Ship Carisbrook Castle with malaria on 14 December and invalided to the UK via Marseilles. 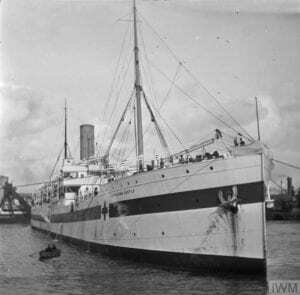 John remained in the Army and in October 1919 both Alexander and John set sail for India with the Glosters. John was made Adjutant to Alexander while stationed in Rawalpindi District. Walter Palmer Vicary, born in 1886 was Charles Gilbert and Octavia Vicary’s fourth child. Unlike his brothers Walter decided upon a medical career and in 1911 he was a medical student, aged 25, living with the Radford family in Kingswood, Surrey. He qualified as a Member of the Royal College of Surgeons and a Licentiate of the Royal College of Physicians in 1912. However, he too served during the First World War and was appointed Surgeon to His Majesty’s Fleet in September 1914. He was assigned as Surgeon to HMS Hecla, a special torpedo vessel; he then served on HMS Liverpool, a light cruiser and HMS Woolwich, a depot ship for torpedo-boat destroyers. 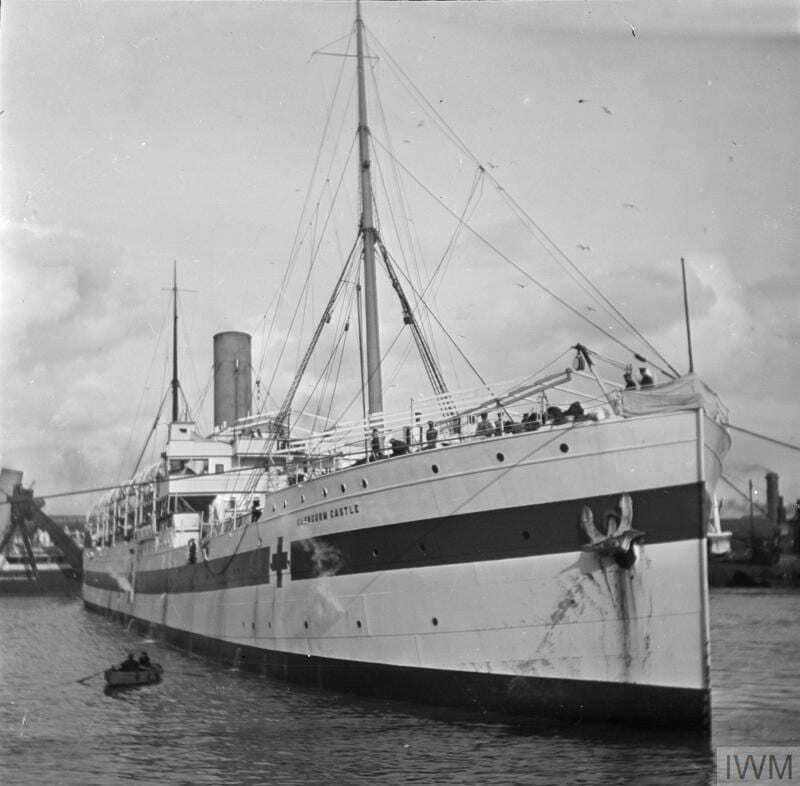 The dates of his service on these ships are unknown, but during the First World War they were variously in UK waters, the Mediterranean Sea, the Adriatic Sea, the North Sea and off the West coast of Africa. After the war had ended Surgeon Lieutenant Vicary RN stayed in the Navy, and was stationed at the Royal Marine Forces HQ, the Aegean Islands in 1920 as Surgeon Lieutenant Commander. Gilbert Doke Vicary, born in 1884 was the second son of Charles Gilbert and Octavia Vicary. In 1904 he became a partner in the Bradley Mills working alongside the eldest son of the family, Charles Lane Vicary and in the 1911 census he was recorded as living at Dyrons as an ‘Employer’, in the family business. He combined his work in the family business with a career in the local territorial force. 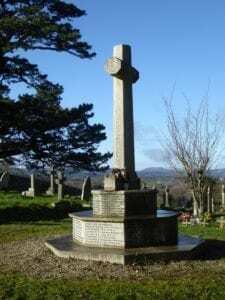 In 1904, Gilbert took a commission in the 5th (The Haytor) Volunteer Battalion, the Devonshire Regiment. Later he was Captain of the Devons’ Territorials. 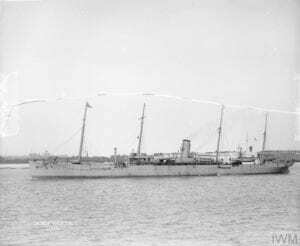 The Devons were sent to India in 1914 and Gilbert left Southampton with the 5th Battalion and they travelled on the troopship HMT Nevasa. By May 1917, the troops were considered experienced enough to be pitted against the might of the Ottoman Empire. 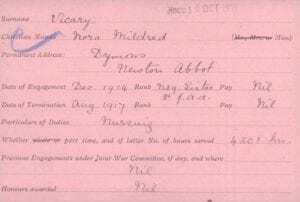 Gilbert’s Medal Index card shows that he ‘entered a theatre of war’ on 4 April 1917, which would probably have been the date that he landed in Egypt. Crossing into Palestine in June 1917, they were part of General Allenby’s plan to capture Jerusalem from the Turks by Christmas. Gilbert and his battalion advanced in “the torment of heat, dust, thirst and exhaustion”. Newspapers reported in November 1917 that Captain G D Vicary, was wounded and in casualty clearing station 74. The injury proved fatal and he died on 10 November 1917, aged 32. His Medal Index card says 11 November, but date inconsistencies are not uncommon. 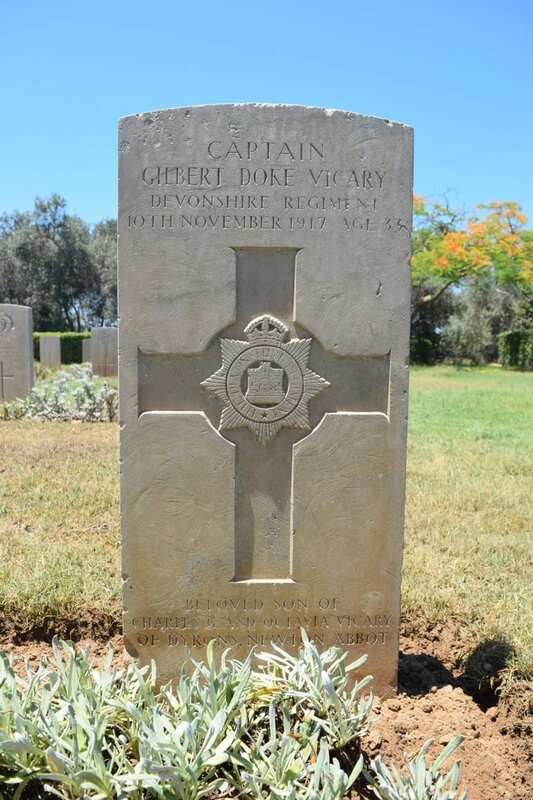 Captain Gilbert Doke Vicary was buried at Deir El Belah War Cemetery, Gaza (Grave D. 102). ‘..amongst the work people he was held in high esteem and never failed to pay the greatest attention to the welfare of the employees’. In his will Gilbert left £100 each to the company foreman, manager, cashier and clerk (England and Wales National Probate calendar 1918 p.154). He is commemorated at Sherborne School: War Memorial Staircase; Book of Remembrance; Harper House roll of honour. Mrs Vicary donated £2 towards the Sherborne School War Memorial in memory of her son, Capt. 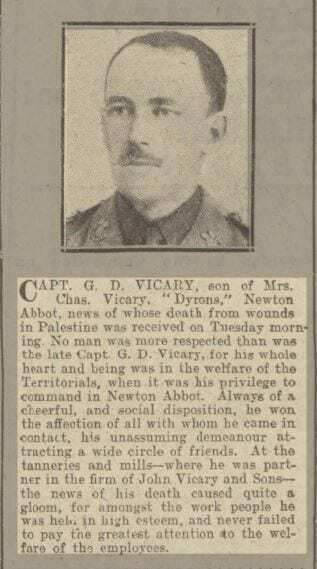 G D Vicary and Lieut. J Vicary, MC donated £2.2s towards the Sherborne School War Memorial in memory of his brother, Capt. G.D. Vicary. Alexander unveiled the local war memorial in Highweek on his return home in 1921 and Capt. G. D. Vicary is listed on it. Octavia remained a widow and continued to live in Newton Abbot with her daughter Nora Mildred who never married. Octavia died in 1945, aged 83 and Nora Mildred died in 1977, aged 86. Charles Lane, Octavia’s eldest son continued to work in the wool and tanning business in Newton Abbot. He died in 1953, aged 69. Alexander Craven Vicary married Kathleen Hamilton Hilton Green on 6 September 1919 and they had 2 children. Colonel Alexander Craven Vicary retired in 1930 but was recalled during the Second World War, where he served in Italy and Burma. He died on 30 June 1975, aged 87. After India, John next served in Egypt until 1931 and, although he had a home at Elmhurst, Newton Abbot, he spent little time here. His service took him to Singapore and again to India. He is known to have attended the first annual dinner for officers who served in Salonika, which was held in Malaya in 1931. He married Nora Daly Lovell in India and they had four children. John’s last foreign tour was in 1936 in Egypt. When Major John Vicary came back to England it was to command Horfield Barracks, then Seaton Barracks, Crownhill and finally as Brigadier John Vicary he was in command of Dover Base from 1944 to 1945, training successive Infantry divisions in readiness for WW2. He died on 11 September 1967 aged 73. By 1921 Walter had moved to shore at the Naval Depot at Deal in Kent and in 1923 married Nora Pearce. Walter became Surgeon Commander, and was stationed in Gibraltar from 1934 to 1937 with his family. When the Second World War came in 1939, Walter re-entered active service until released in 1946, when his name was on the list for the ‘King Haakon VII Medal of Liberty’, bestowed by the King of Norway in 1947 in recognition of significant services rendered to Norway in WW2. Surgeon Captain Walter Palmer Vicary, MRCS, LRCP, Royal Navy (Retired) was retained as a medical officer checking the health of new recruits in Bristol until 1954. His final years were spent near Salisbury, until his death aged 81 in September 1967, the same month as his brother John.